Looking to upgrade your old desktop or laptop? 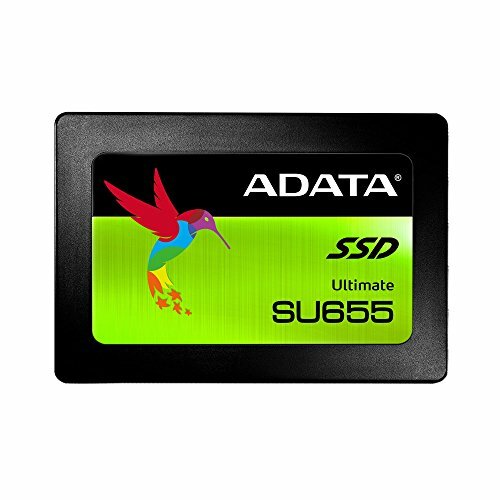 ADATA SU655 Solid State Drive is the ideal choice for your hardware upgrade. SU655 not only boost the performance of your personal computer, but also extend the life of your machine. With the newest 3D NAND technology, SU655 process nearly 10 times faster than conventional mechanical hard drives. This means SSD can improve boot time for your system to seconds and shorten application load times. In addition, SSD also provides zero noise, lower power consumption (longer battery life! ), and provide less heat then mechanical hard drives. If you are looking for a upgrade to replace your old mechanical hard drive, ADATA SU655 is the ideal choice for your everyday computing tasks. If you have any questions about this product by ADATA, contact us by completing and submitting the form below. If you are looking for a specif part number, please include it with your message.